About: This introductory rafting experience is geared towards families, beginner rafters and those just looking to have fun on the water on a hot summer day. On this trip we take 3 runs down a section of class II rapids which are about a third of a mile in length. On the first run down the river, your guide will use a sport raft so you can get a feel for the river. On the next two runs, guests can make things a bit more wild if desired by trying river tubes and/or inflatable kayaks as well. Each run down the river last approximately 15-20 minutes. After each run guides and guests will bring the rafts/river tubes/inflatable kayaks up a short stretch of trail back to the shuttle vehicle. Location: This adventure meets at our raft base in Errol, NH. This trip is offered Monday-Friday during the early and late season, which encompasses the end of May, June and the first part of September. This trip is offered Monday-Thursday during peak season, which encompasses July and August. 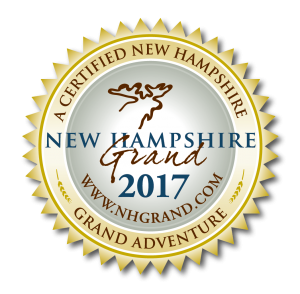 Price includes: a guide, safety gear, comfort gear, transportation from our raft base in Errol, NH to (and from) the river, and a light riverside snack. We require that at least 8 guests are signed-up to conduct this trip. This requirement applies to the trip overall, not your individual party size. If the overall trip minimum is not met, you will be contacted by 4:00pm the day before your departure and given the opportunity to either reschedule or cancel and get a refund.